Good evening and welcome to Marvelous Mondays Link Party 87. How was your week? I was on vacation all week so my week was pretty rad, with the exception that I was sick for most of my vacation. Boo. But I didn’t have to go to the real job so it was still a pretty sweet deal. We went to North Carolina from Saturday – Wednesday and then my mom came to visit us Friday – today. Good times indeed. Now I want to move to North Carolina. It’s beautiful up there! You can catch more of my features throughout the week on Pinterest, Facebook and Twitter. Be sure to follow along below so you don’t miss the features and other great recipes! Thanks so much for joining us again this week! We love your recipes and creative crafts and DIY projects. I pin a lot of the link ups to my Marvelous Mondays Pinterest board. You can easily follow the board via the box below! I often repin to the large group boards I am part of which equals great exposure for your content! Also, check out my new Tasty Recipes Group Board. 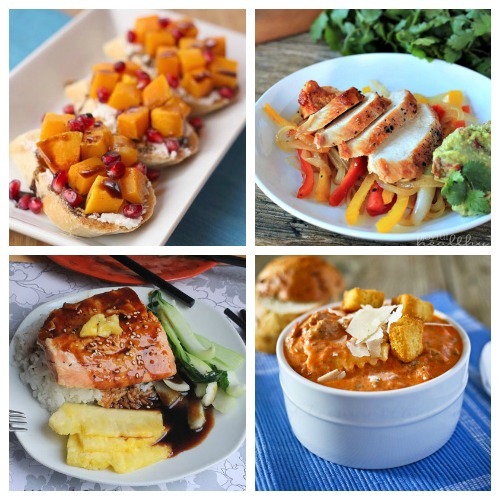 You’ll find tasty recipes from some fantastic food bloggers all in one place! Please follow your hosts and co-hosts via Twitter, Blog Lovin, Facebook, or email (at the right sidebar top). This will allow us to keep you updated on the party and the party features! Your host and co-host links can be found at the top of the party post. Please note that by linking up your posts and projects you are giving This Gal Cooks, Cooking on the Front Burner and Call Me PMC permission to use your photos in the featured posts and possibly on our social media outlets. All photos will be linked back to your sites and your posts. 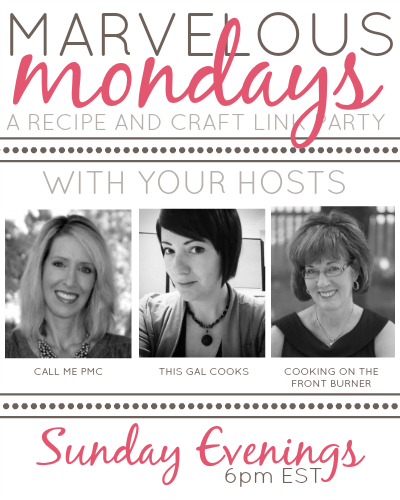 **Paula, Deb and I please ask that you ONLY link up posts that you have not recently linked up to Marvelous Mondays. We have been noticing some repeat posts being linked up recently. To be fair to all party-goers, please only link up NEW posts, posts that you have never linked up to our party or posts that you have not linked up in at least a couple of months. We will not be “policing” post link-ups, but please note that repeat offenders’ posts will not be featured on Marvelous Mondays. Thank you. Thanks again for hosting, Julie! I’m glad that you were able to visit North Carolina, even though being sick on vacation is no fun. Have a great week! Hi Julie I hope you have a great week and thanks for the party!!! Many thanks for hosting again this week. 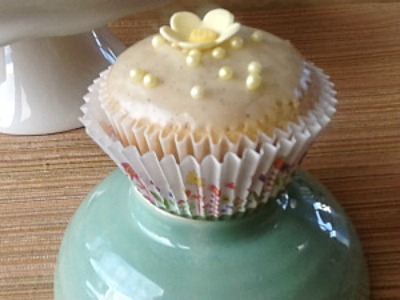 It’s always a treat visiting here to see all the yummy recipes that everyone shares. Thank you – I’m thrilled to have my ravioli soup shared here. Hope you have a fantastic week. Glad you had a fun time Julie, it really is gorgeous there! I don’t blame ya if you move. Thanks for stopping by the party, Krista. Hope you have a great week! So glad you enjoyed North Carolina!! Thanks for hosting!! Hi Julie, thanks so much for hosting and enjoy the week. Thank you so much for hosting the party Julie. Have a great week. Thanks for another great party, Julie! Sorry you were sick for your vacation :( Hope you are better now! Hi Julie! Thanks so much for hosting the party! So happy you enjoyed your vacation! My son went to school in North Carolina and it’s my daughter-in-law’s home state; I love it there, too! Hope you have a happy week! First time visitor here. NC is beautiful, isn’t it? Glad you had a good time despite being sick, take care! Thank you for hosting, Julie, and have a great week! Thank you, Gloria! I do not know. I have never been sick while on vacation! Thank you so much for guest posting on the blog last week. I want to eat all of the cupcakes! Hope you had a great weekend Julie! Thanks for the party. NC is beautiful and my home state. I just moved 3 months ago and miss it greatly. Aww. I am sorry that you miss it! I already miss it and I’m ready to go back! :) Thanks fors topping by, Dawn. Have a great day! Thanks for hosting another fabulous party! Wishing everyone a wonderful week! Thanks so much for hosting another wonderful party! :-) Hope you are feeling better!